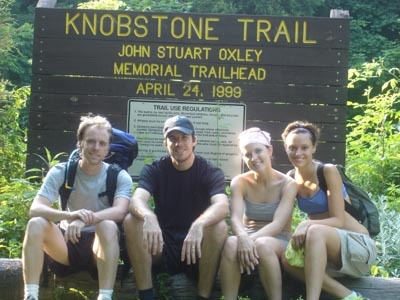 Hey bro, I'm pumped that the four of you got out there and had a taste of the trail together (Great pix!). I've yet to find salsa that tastes as good as life on the trail. Seriously though, did the 4 coins matter at all? What would you have done had they flipped the other way? i love the pic of you 4 in the hotel, you all look so frazzled and funny in an adorable way. The pic of jes and kari is very socal!